A new series of sculpture finished December 2018. The stunning effect of this gold shade is miraculously changing from rose to champagne shades - depending on the angle of simple lighting. 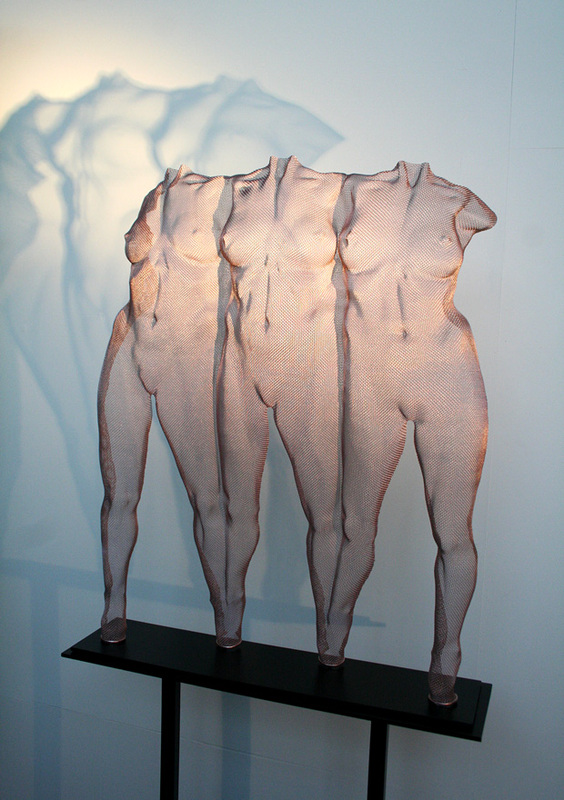 Sculpture 'ISI' 2018 is a girl body study, hand-made from a single steel mesh sheet, dimensions 76 x 23 x 19 cm. 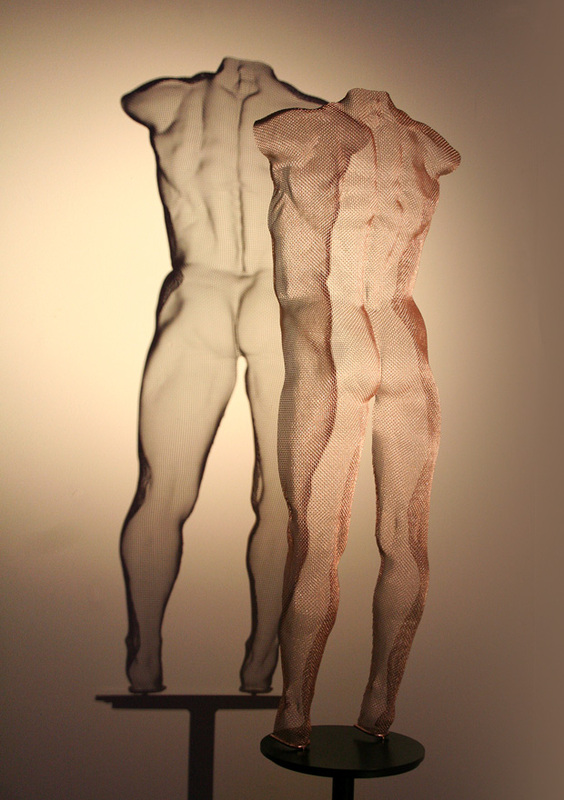 See more available sculptures in rose-gold on page Mesh Sculpture.